Studio Wildcard has confirmed that ARK: Survival Evolved will be arriving on Nintendo Switch on 30th November. 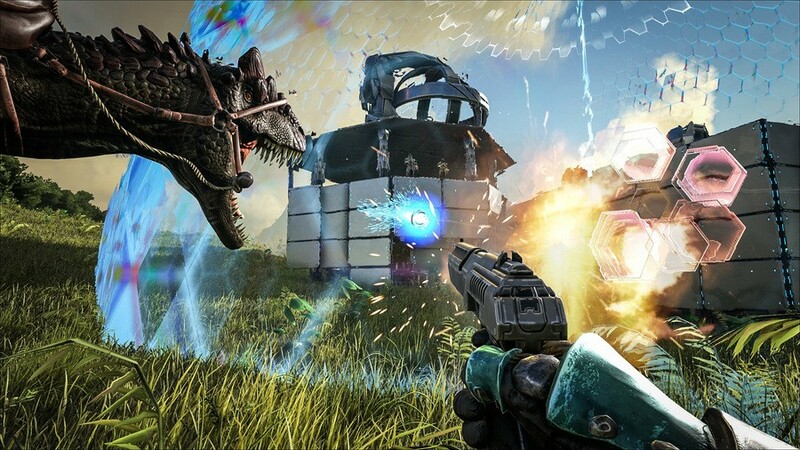 In ARK: Survival Evolved, players can tame dinosaurs, conquer enemies, and create enormous structures in a vast open world, with the Switch's portable capabilities allowing you to take the game anywhere and play how you like. The Switch version has been created in conjunction with Abstraction Games and includes all of the content and features of the original. So what does that mean exactly? 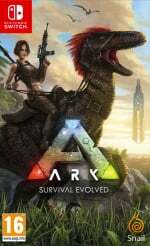 Well, you'll be exploring the entire ARK Island, with over 100 prehistoric and fantasy-inspired creatures such as the terrifying T-Rex, Giganotosaurus, Direwolf, and Yeti. Stranded on this island, you must learn how to hunt, harvest, craft tools, grow crops, and build shelters to survive, and you can even ride Dinosaurs and other primitive beasts living in the world around you. You can either play the game alone, or team up with players online for the ultimate Jurassic experience. As mentioned above, the game launches on 30th November and will be available in both physical and digital editions for $49.99. Let us know your thoughts on this one below. Really interested to see how such a technical mess of a game runs on the weakest current-gen hardware. If they optimize the port enough then perhaps this could end up being the best version of the game, ironically enough. Before people start to complain about performance, Switch version is based on a different engine (from the mobile version) that runs more smooth and stable. This is has got to be the ultimate platform for Arc, I've been waiting for this day a long time. It's actually quite a fine game (not the best of its kind) and from what I've seen it runs rather smoothly on Switch. Of course there's gonna be some bugs, but nothing to worry about. @Bunkerneath I’m usually not a stickler for it, but I feel like crossplay is almost a requirement for this. Besides the user base being involved in the forthcoming Smashpocalypse, the Xbox version had pc server options (I think??) and it had tons of players. My friend would likely turn his Xbox on if he could play this with me on my Switch. If they can somehow pull off a miracle and make the Switch version of the game run decent I may actually be tempted to give it a go. I have tried it on my friends PS4 Pro and while the framerate is solid there the Switch is in no way a solid comparison. I will be checking out plenty of gameplay videos before I put faith in this port. I´ll wait and see, but very glad is finally coming this year, I didn´t expect it. Take a look at 00:52, to see what graphics to expect. @Monkeido I doubt they'd ship the game with those graphics. That there is clearly a stream pop in issue and we seen a much better looking version in a earlier build. I mean you saw the rest of the trailer and that was the only part that looked unacceptable. I'm going to get Smash bros eventually but I'm a casual player of smash so I'm not gonna get it day one. I'm going to get Pokemon let's go and Ark for the switch this year I'm super excited to play it. I love the idea behind this but my go at the demo version on Xbox was not pleasant and I hated the execution. I can't imagine the Switch will change my mind. Having said that it does seem the perfect platform for this sort of game. I'm getting this My Hero Academia Diablo 3 and Team Sonic Racing! @Rayquaza2510 Im now very pleased to hear it’s based on the mobile version, and that’s the first time I’ve ever said that. The only way I'll be even slightly interested in this is if it's at a mostly stable 30FPS. Tried playing this game on my fiance's PS4 and it ran terribly. It'll be pretty amusing if the Switch version runs better because of optimization. Stable? Talking out ur ark more like!! @DigiF4N Team Sonic Racing got delayed until May 2019. An open-world game best summed up as Far Cry with dinosaurs? And it's coming to Switch? Between this and the Resident Evil rereleases, today's been a good day for high-profile M-rated games. @DigiF4N Why would I think you're dumb? I only just heard it got delayed last night. @JSG87 Yet out of the few gameplay bits they showed, they chose that? Seems very strange to me. This is not some livestream, but professionally edited footage. Yeah, please make the frame rate steady at 30! I've never played this game, but am considering getting it for my Switch. Day one. Been excited about this for quite a while. The game is a mess on Xbox One, so not optimistic for its port to Switch. @NewAdvent @ilikeike From what I’ve heard and seen, the Switch port might be the best optimized due to the Nvidia tech inside it, as Ark favors Nvidia over AMD which is inside the PS4 and Xbox One. Don’t expect it to look better than them, but you can expect smoother performance. I cannot wait for this game. Nov 30th can’t come soon enough. So I'm a Nintendo User who's been hiding under my Nintendo rock for a couple of years and has a little brother who wants to play this game as well. Whats the Age Rating and is it safe for, maybe say, 13 yr. olds? Played the demo on Xbox. It ran terribly and it seemed like they did nothing to the interface to accommodate console. Would need to see improvements in both aspect to consider the Switch Version. @AlexSora89 Thought it was rated teen? @DigiF4N Just be thankful Sega delayed it to polish and improve. They have a history of not doing that with a lot of Sonic games and the games feel a little thin or buggy (Forces = Thin, Boom = Buggy). Happy when I heard this because I think the "team" mechanic in this Sonic game could be realllllllllllly great and I want this game to give Mario Kart true competition. Helping out another team member while racing sounds like so much fun, an actual reason to not just play Mario Kart. I think this game could be something super special and the delay will help insure that. This is a good thing! I thought it wasn't... whatever, I might have gotten it wrong.